Training should not end when you get your license. You can and should constantly strive to become a better and safer rider. For those who wish to improve their riding abilities Alert Motorcycle School offers the very popular and successful Advanced Roadcraft Day. Hello David, Just a note to say thank you for the ARD. It was a great day, the instruction was spot on, very clear and practical, the balance between theory and practice just right and the general feeling was very cheerful. The full day course starts at 7.30am in Bayswater with coffee and tea and a brief theory session. We then run a series practical exercises to enhance cornering and braking techniques. The rest of the day is spent honing riding skills on an open road course consisting of metropolitan and country roads. There are plenty breaks for individual feedback and practical riding demonstrations. We stop for lunch in Toodyay. The course is normally conducted with a ratio of one trainer to four trainees. Every participant is given individual feedback and tuition throughout the day as well as having the opportunity to learn from the others in the group in a relaxed, friendly and supportive atmosphere. Compliments on the Advanced Roadcraft Course. It was an excellent course all-round. I left with a better educated and safer attitude towards the risks on the road and of my riding abilities. It was great fun to boot. I recommend the course to anyone. 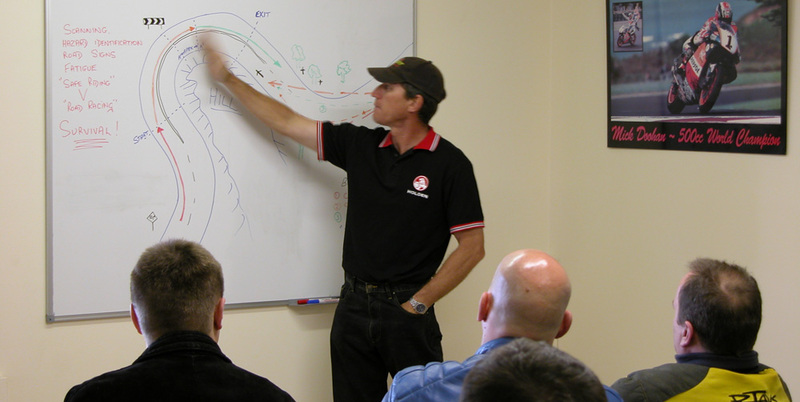 G’day David, massive thanks to yourself and Polly for yesterday’s Roadcraft course. The experience well exceeded my expectations and I learnt a lot in respect of managing my bike and reading the environment. I’m getting more from my bike and improving my safety on it.The instruction, support and atmosphere were outstanding – a very well run day. A certificate of participation will be issued to all students. Just saying thanks…We had a fantastic time and learnt heaps. As usual your teaching standards were very high and the information provided to us was valuable reinforced to ensure we understood. You do a great job! 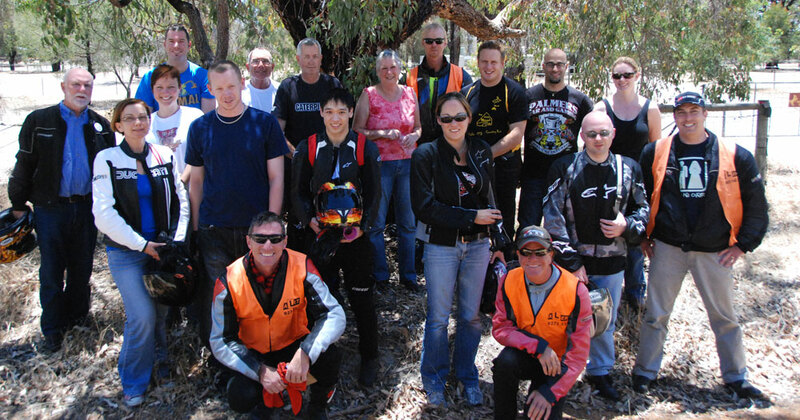 Each participant is to supply their own motorcycle and personal protective equipment complying with Australian Standards. Motorcycle hire may be available – contact us for details. Your motorcycle must be licensed and in roadworthy condition. Pre-course inspection of motorcycles and personal protective equipment may be carried out by the instructors. The course will run irrespective of weather conditions. The price is $250.00 per person if you provide your own bike. Lunch is included. We sometimes hire our bikes to participants. (Honda CB125- RE class – $125 for the day and Honda NC700 – R class – $175 for the day). It will be the responsibility of the hirer to replace or repair any damage caused by them to the motorcycle and/or protective equipment. The course was excellent, very intensive and lots of feedback. You three were excellent riders and instructors. It was very good value for money especially having one instructor to 4 riders. I did a Roadcraft course at Wanneroo racetrack a few years ago which cost over $200 and there was about 1 instructor per 10 riders. A friend did a similar roadcraft course to yours recently and had one instructor per 12 riders and had to wait ages along the road while one rider at a time did cornering with the instructor behind.